During the process of building, three main items were to be met; connection, natural light and a thoughtful facade system. The first element focuses on the plaza as a connection core, from where the whole planning process radiates. 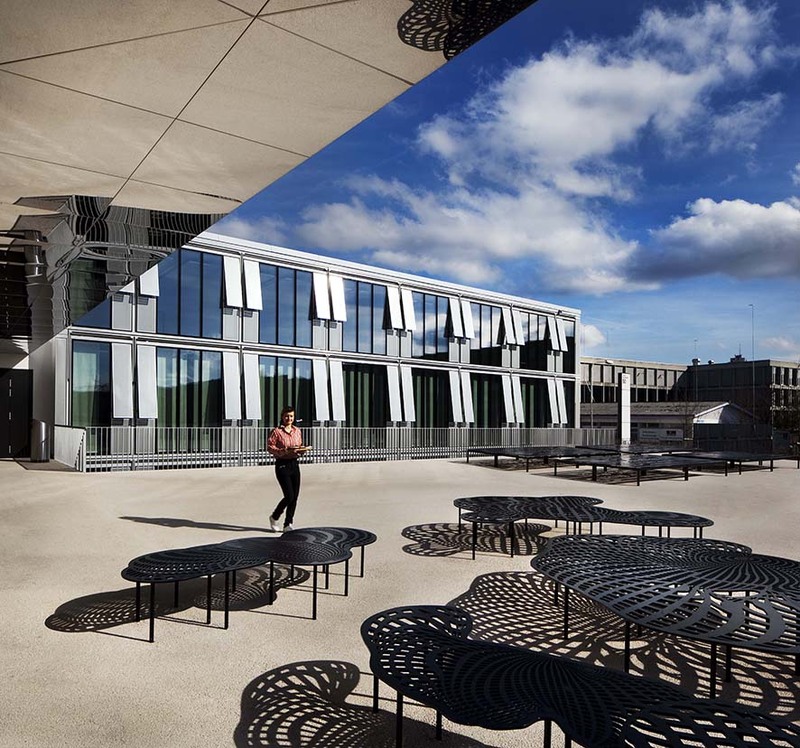 The plaza serves the tenants and public faithfully by providing a functional meeting space, that also connects the buildings and the traffic flow within the site. The space exudes charisma and charm that attracts the users and provides a connection to the heart of the project. The second element emphasises on flooding as much natural light as possible into the building. 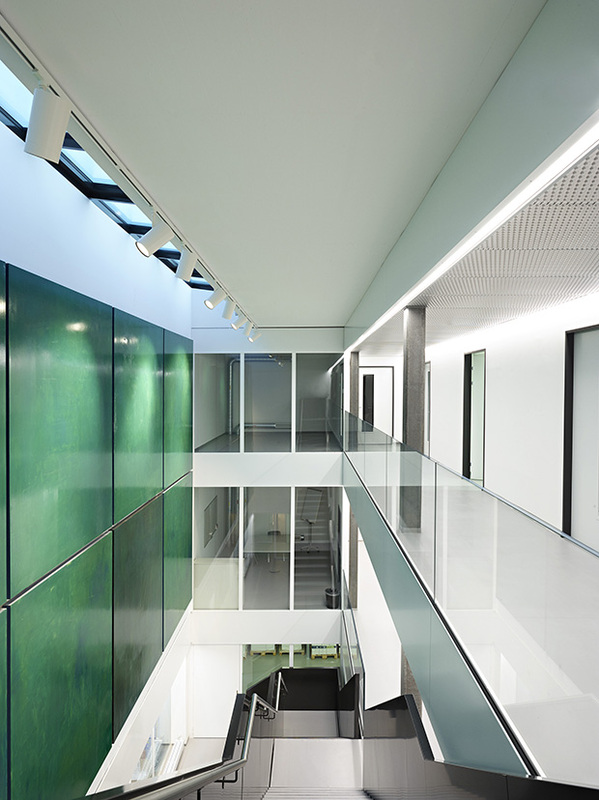 Natural light was an essential component to enable usable space;mainly within the inner areas of the building, access cores and where possible in the basement. Strategic openings in the roof were installed to solve this issue and allowed light to pour into the centre of the plan. A “cut” in the main plaza was also provided to create a real patio, touching the main facade and letting natural light penetrate the basement level. 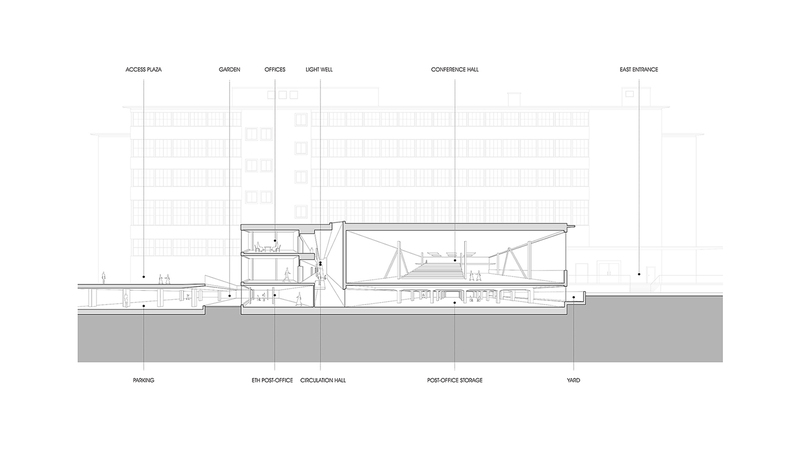 The third element was the facade system that had to combine energy, efficiency and aesthetics. 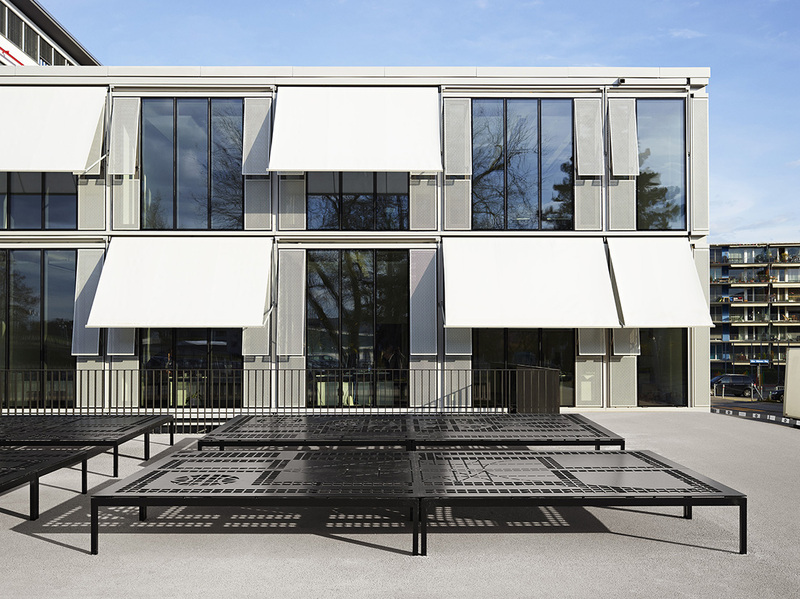 The challenge was realised by designing the facade in repeating modular perforated panels and shading screens. The facade is seen as a thin layer that respects the industrial context and brings a touch of vivacity with light creating graceful rhythms. Now completed, it seems to be a floating object in its surrounding. In the future the whole complex will offer a charismatic plaza where people meet, a social landmark and as a masterpiece of the upcoming area of Zurich Nord.